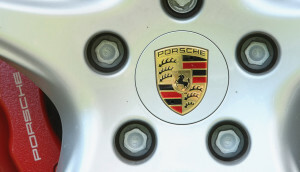 A GEICO representative once vowed to move a Porsche hours away to avoid having to pay the only Porsche-certified shop in a North Carolina region more than the insurer pays a rank-and-file shop, a new version of a federal RICO lawsuit states. When the Porsche-certified plaintiff told GEICO the luxury OEM restricts frame data to those shops who’ve demonstrated to the OEM they have the training and equipment, the insurer allegedly threw a hissy fit at the prospect of paying more than it’d pay an average shop to fix a Geo Metro. That’s example of several in which insurers attempt to apply a single prevailing rate — which they’ve allegedly colluded with each other to create in a RICO violation — to a larger region. The new lawsuit could face a skeptical audience. Middle District of Florida Judge Gregory Presnell has in similar litigation supported the idea that if a shop doesn’t like the rate an insurer offers, they shouldn’t agree to fix the car. But this ignores the contractual obligation that an insurer pay the repair bill for a customer’s choice (in most states) of shop. A State Farm estimatics manager allegedly told K&M, the only Volkswagen-certified shop and the only one with VW-approved structural repair equipment, that he wouldn’t pay more than $44/hour. In a dubious assertion, the manager told K&M he could find other shops in the area who could do the work for $44 an hour, though wouldn’t say which ones. “(The manager) advised K&M that any labor rates above purported prevailing rate would not be reasonable; stated that other facilities in the market could perform the repairs at the so-called prevailing rate of $44 per hour, but would not answer what other facility in the market could perform those repairs; would not agree that the insured was not entitled to know any other facility that could perform those repairs; would not confirm his understanding of VW manufacturer specifications – saying ‘I don’t repair cars’ – or whether manufacturer specifications were reasonable or necessary or would be required to achieve a quality repairs,” the lawsuit states. Nationwide also allegedly in December trashed K&M to a customer who wanted her Audi repaired at K&M over $600, according to the lawsuit. K&M is the only Audi-certified collision repairer for at least an hour’s drive. “In addition, in or about December of 2015, (an adjustor) advised the vehicle owner of an Audi, who wanted her vehicle repaired at K&M because they are Audi certified, that K&M ‘overcharges’, that they are ‘way more expensive than any other body shop’, and that Nationwide ‘would not cover the charges’ (which were $600 in additional costs),” the lawsuit states. Insurers have not yet responded to the new version of the lawsuit. However, in other similar cases, they’ve argued that none of their actions were illegal and the seemingly uniform nature of rates paid were the result of insurers staying competitive with rivals, not collusion.